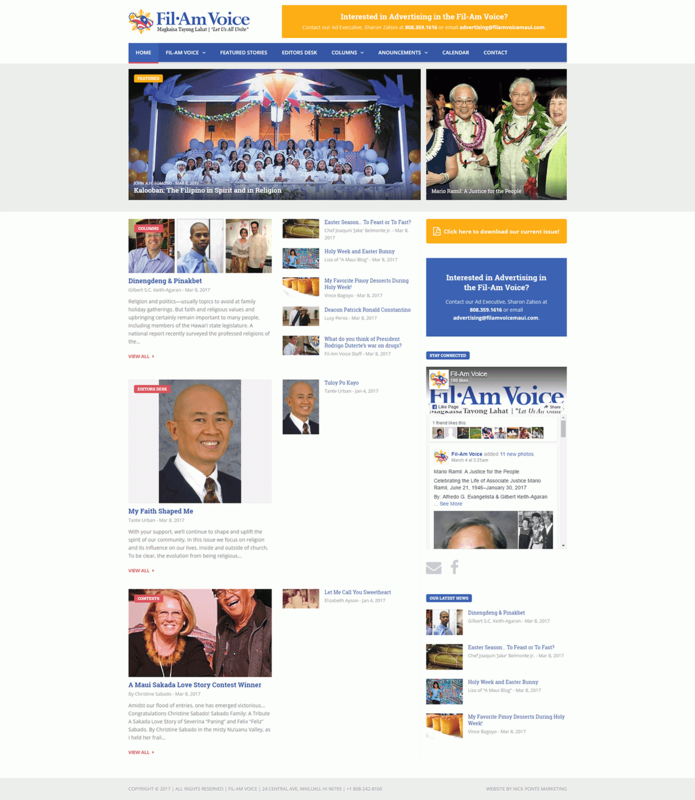 Always proud to provide excellent services to organizations throughout the community, Nick Ponte Marketing created this Site for Fil-Am Voice. This site brings together community-minded citizens with information on news and events. Our team worked efficiently to design and develop this easy-to-use site as a central location for community members to learn more and get involved.